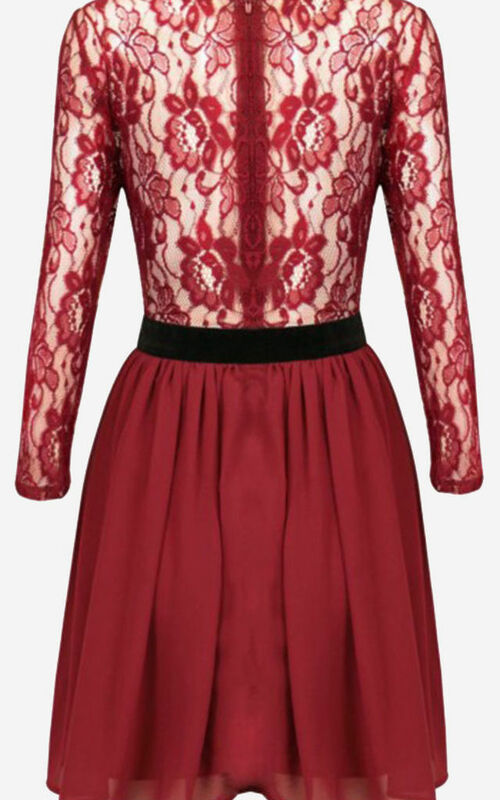 Burgundy lace and chiffon dress. 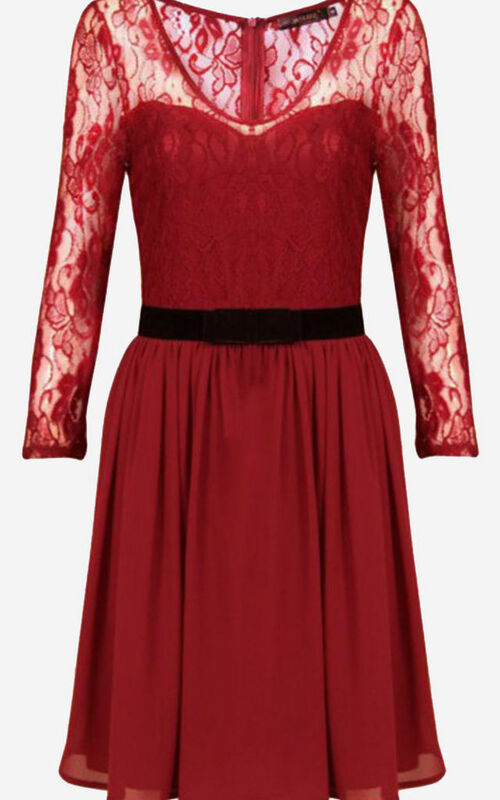 Featuring a lace upper with 3/4 length sleeves, a rounded neckline and sweetheart lining. Lower chiffon skirt with a black velvet waistband and centre bow. Concealed zip at centre reverse. 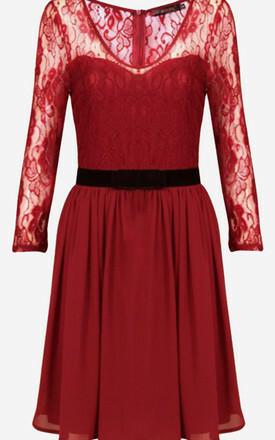 Fully lined dress.